In this post I explain the terms used in the various plans and give some easy to understand rules of thumb for working out the right plan for your needs. First of all I need to define some basic terminology from the land of geek. Bear with me; I will try to take it slowly. Data is information that can be stored or processed by a computer. This might be a program your computer runs, something as simple as a the letter “A”, a photo or a DVD movie. In the land of geek we measure data using weird – almost comical – words. The most basic measurement of data is the “bit”. A bit is the smallest measure of data and it can represent a zero OR 1 – nothing more than on or off – that’s it. Everything your computer does, everything you see, hear, do is represented by a combination of zeros and ones. The magic happens when you string millions of zeros and ones together. One level up is the “byte”. A byte is simply a collection of eight bits. Don’t sweat the details but just believe me when I say a byte can also be considered one character e.g: “A”, “k”, “3” etc. So 100 bytes can be considered 100 alphabetic characters. From here, measuring information uses standard Greek (note Greek not geek) prefixes also used to define metric measurements i.e: kilo = thousand, mega = million, giga = billion, tera = trillion. Just to add a little wrinkle, computers hate the decimal system so instead of using 1,000, geeks use 1,024 which is a nice round number – according to geeks anyway. For reasons known only to the forefathers of modern computing, communication speed is always measured in bits not bytes. Remember a bit is eight times smaller than a byte. So, a megabit is one eighth of a megabyte or 131,072 bytes (1048576 / 8). By convention when abbreviating we use a big B to indicate Byte and a small b to indicate a bit. So MB is used to represent Megabyte and Mb represents megabit. When we talk about data transmission speed we are measuring the amount of data that could go from one end of a data link to the other in a given period of time – usually a second. Early domestic modem connections used 300 bits/second – that’s about 30 characters per second. These connections were replaced with “superfast” 1200 and 2400 and then finally 56000 bits/second connections (56Kb/s). These days with domestic internet connections we no longer use Kiliobits to measure speed but Megabits/second (Mb/s). 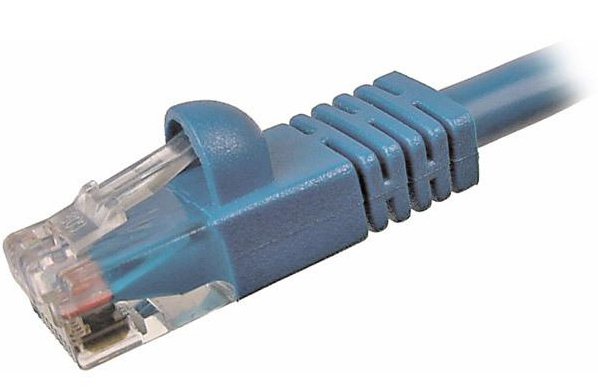 A basic ADSL link will provide up to a 1.5 Megabits per second. At the other extreme, an ADSL2+ Annex M link may give you speeds up to its theoretical maximum of 24 Mb/s depending on how far away from the exchange you are. Domestic internet link speeds have gone from 1,200 bps to 24,000,000 bps in just over 20 years – a 20 thousand fold increase. Just imagine where we might be in another 20 years! Modern 3G Wireless (ie mobile broadband) connections theoretically allow up to 7.2 Mb/s but in practice cap out at about half that speed. But what does all this mean in practical terms? Speed is important on the internet as it determines how fast data can go from the internet to you and everyone sharing your end of the link. The faster it goes, the less time you have to wait for a given amount of data to be delivered to your computer. Everything you do on the internet takes some amount of data but some things take a lot more data than others. Simply browsing a web page might use 20-30 kilobytes – negligible for most connections. Downloading a track on iTunes though will take about 4-5 megabytes. An album download maybe 50 Megabytes. A 10 minute Youtube video maybe 20 Megabytes. A DIVX movie over bittorrent – about 700 Megabytes. The discussion above assumes a single user using a link. If there are multiple users sharing a single link (ie a home network or wifi) the importance of speed increases: if two users are trying to download iTunes tracks at the same time both will take twice as long. With three users, three times as long – and so on. Think of data as water and your connection speed as the diameter of the pipe. Only so much water can come down the pipe at one time. Requesting more just makes the pressure go down for everyone… So it is for shared internet links. When it comes to monthly download limits (confusingly measured in Gigabytes) you can see from the above table that by just browsing the web you are never likely to use up even the smallest limits. Watch lots of Youtube (or other video) and you will quickly burn through all but the most generous allowances. BitTorrent and other peer to peer file transfer services can be huge and silent users of bandwidth because they work in the background and even after you have downloaded the desired file, you will automatically start “seeding” it for others to copy. While you may only download one copy of the file, you may end up sending many, many copies to others and each copy will count towards your monthly limit. Given a DVIX movie is about 700MB in size, seeding it just 10 times will use 7GB of your bandwidth allocation – and this can easily happen in one overnight session. So when you are trying to decide what broadband plan suits you, work out what you will be using the internet for and what sort of data you will be downloading. It is important to also consider others who may use your link (including visiting family and friends) – just because you don’t spend hours on Youtube doesn’t mean they won’t. If you are wondering where your monthly limit is going, try asking people who use your link if they are downloading music or using bit torrent. And if you have teenage kids and have not yet implemented a filter – I think you can guess where that bandwidth is going. The internet does not care if people have clothes on or not – its all just huge bandwidth sucking video.